Mothers know best. 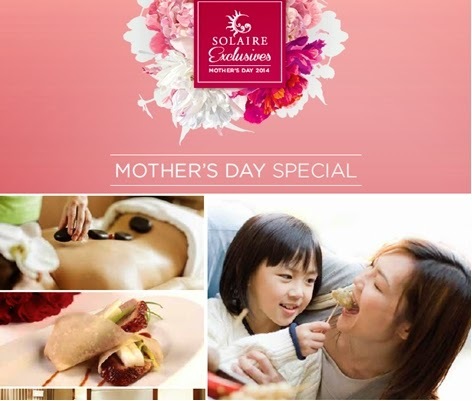 But this time, Solaire has thought of the best for the special women in our lives. From the special discounted rates in the ultimate family staycation to the exquisite set menus in our fine dining establishments, we’ve made sure that this will be one unforgettable Mother’s Day. Bring the entire family this ‘Mother’s Day weekend’ and stay in one of our luxurious suites with discounted rates. Under the Summer Family Getaway packages, our rooms go as low as PhP6,000++ for Deluxe Room Cityview and PhP7,000++ for the Deluxe Room Bayview. The special rates are also available in Grand Deluxe Cityview (PhP8,000++), Grand Deluxe Bayview (PhP9,000++) and 2-Bay Suite (PhP12,000). Our amazing staycation packages come with an impeccable buffet breakfast for two adults and two kids age 6 years and below. 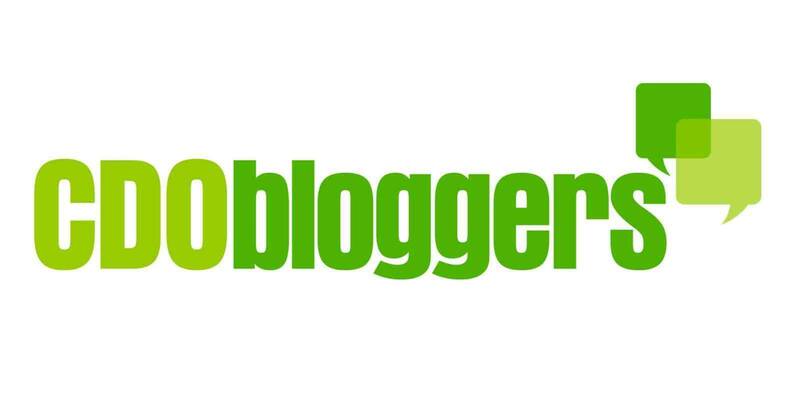 For kids who are 7 to 12 years old, we offer a 50% dining discount. Your stay also includes a free use of the swimming pool and the fitness center. To test your luck, the package comes with PhP500 worth of gaming credits. If you opt to celebrate mom’s special day with a lavish dinner, we have prepared delectable set menus in Fresh, Yakumi, Finestra, Red Lantern and Strip. Everyone in the family can enjoy our mini pizza creation of the day (Roasted Branzino in potato crust, Versuvio tomatoes, white wine and Gamberoni), Pasta Carbonara in rich and creamy sauce with pancetta bacon, Limon Cello lemon and Chicken Parmigiano at our Italian restaurant Finestra. For the lovers of Japanese cuisine, meanwhile, we offer a special menu that includes Gyuniku Tataki (Seared beef strip loin with onion dressing and micro herbs), Yakumi Sushi and sashimi sampler, Lobster mini soup, Ebi tempura, Chilean Seabass teriyaki and Steamed Japanese style egg custard with foie gras. Red Lantern also offers a sumptuous set menu for those who prefer Chinese dishes. The family can feast on Hand rolled Beijing duck, Pumpkin soup with seafood and white fungus, Deep fried crispy shrimps with sweet mayonnaise, Wok fried prime beef black pepper sauce, Steamed sliced fish with Tofu in black bean sauce, the seasons best vegetables with oyster sauce, and Braised noodles with spring onions and ginger sesame oil. Steak house Strip also offers a Mother’s Day menu consisting of Green Pea sphere and crisp ham; Tomato salad dried olive oil and goat’s cheese; Foie gras crumble mousse with candied fruit and nut; Seared tuna blood orange sponge, watermelon and labuyo chili crust; Pork belly beer braised and tomato relish; Smoked Angus beef and Caramel Sand torch banana. All of our set menus are priced at PhP1,900 and all come with the Solaire Mother’s Day creation, the Caramel cheesecake with red berries and white chocolate silk. If you want to go all –out however, our buffet outlet Fresh is ready with Lechon (Charcoal grilled suckling pig), Roasted prime rib of ‘Gold Label’ prime beef, Brioche baked whole salmon Coulibiac, seafood delights and a long list of desserts which include tarts, cupcakes, cookies, parfaits, doughnuts, puddings and cakes. May it be the ultimate staycation or a gastronomic adventure in one of our first-class restaurants, Mother’s Day at Solaire is definitely a great bonding opportunity for the entire family. For reservations, call 888 8888 or log on to www.solaireresort.com for more details. Where were you at 28?